Living on the beautiful Sunshine Coast, you’d want to make sure that your Car Air Conditioning is up to scratch for Summer. Our team of licensed technicians can service, diagnose and repair all types of vehicle Air Conditioning systems. With over 40 years of combined experience in our Maroochydore workshop, you can be confident that your car’s Air Conditioning system is in the very best of hands. Our team is dedicated to providing expert advice, professional service and competitive pricing. So pop in and see us today! Don’t have time to come to us? Our mobile technicians can service all types of vehicles on the Sunshine Coast, from Caloundra to Maroochydore. We arrived fully equipped and ready to look after all your car air conditioning repair and servicing needs. You can rest assured because all of our roadside repairs and services come with the same guarantees and assurances, as any work done at our workshop. Ever wondered what the buttons on the air conditioning system in your car do? 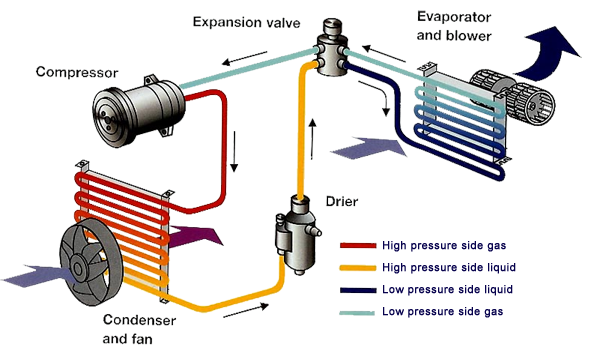 Want to know how your Air Conditioning System actually works?